NOTE: New lessons will be added to this course every month, but you can register now to begin taking the lessons. 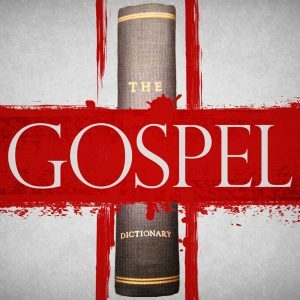 Get help understanding what Bible passages really mean by properly defining these 52 words of the Gospel. Would you say dead faith may be the correct belief but without lack of action/fruit so it is basically useless? Yes, that sounds about right. A good synonym for “dead” is “useless.” So dead faith is useless faith. It does exist, but it is not energizing our life. It is not accomplishing what God intends it to accomplish. 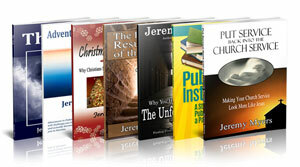 Jeremy where is the course on sin? On the website it ends with 22 “A new lesson will be available soon”. However elsewhere you mention the lesson on sin. Please help. Sorry. It is not yet available. Often, when I say “Check out the lesson on _____” and that lesson isn’t available yet, it is because I am teaching this course with an eye toward finishing it. Once it is finished, the people who take it will be able to go and listen to the lesson on sin. Sorry it is so confusing right now! How could one even know that they have a dead faith if they do not have a live faith in order to believe that they have dead faith? What limbo exists between a dead faith and a live faith that can give faith to believe that one has a dead faith? Great questions! I laughed when I read it, because it reminded me of the “I believe that you believe that I believe …” conundrum that you sometimes hear in movies. But you are right. A person wouldn’t even recognize that their faith is ineffective if they didn’t have true faith in the first place.